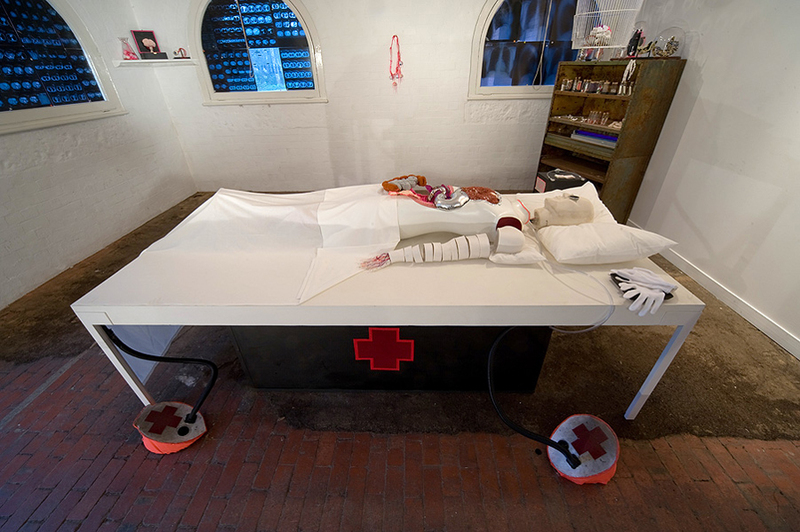 “The Numan” was a collaborative exhibition at c3 contemporary artspace at the Abbotsford Convent. The Numan is an electro-gothic Frankenstein’s monster you could help “give life to”. You could control the Numan’s breathing, arrange his internal organs and listen to his heartbeat. The Numan was a dependent creature, designed to induce empathy by promoting the examination of what it means to be human.